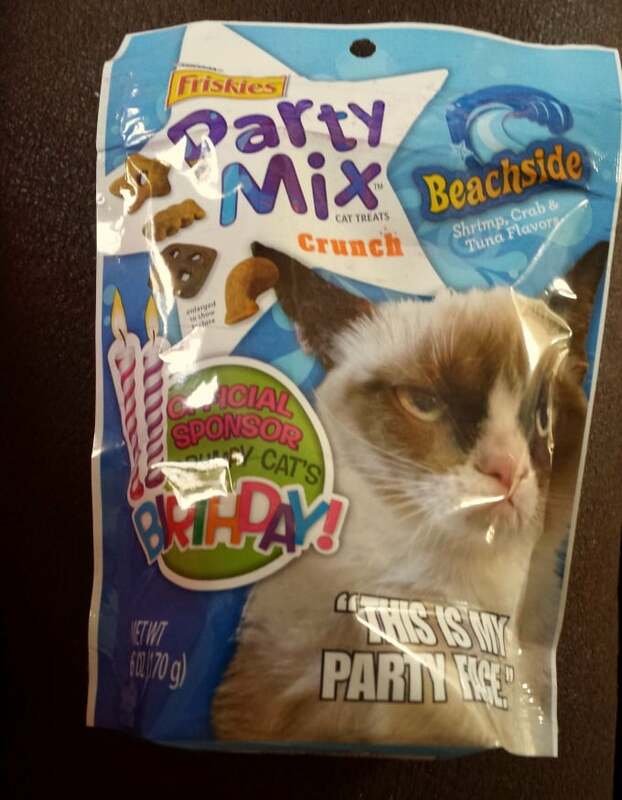 We’re Getting Ready to Celebrate Grumpy Cat’s Birthday! 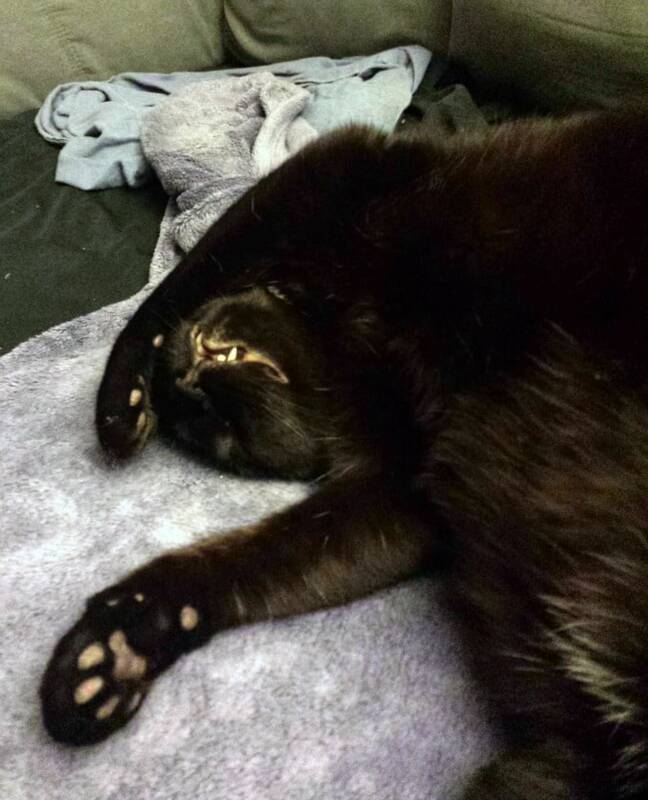 Having cats of our own, I’ll be the first one to admit I can totally get sucked into all the super cute and funny cat memes and videos. So, we without a doubt love Grumpy Cat as well. Mr. Savvy and I are constantly sending Grumpy Cat memes to each other. Heck, Mr. Savvy loves Grumpy Cat so much that I went all Grumpy Cat theme on his birthday last year. Isn't this just too cute?! Speaking of Grumpy Cat, did you know her birthday is coming up soon? In fact, she’s having a birthday party in NYC on 4/29. The best part is you can enter the Grumpy Cat’s Birthday Party sweepstakes for a chance to win a trip to be able to attend yourself! I can only imagine how much fun it would be to celebrate Grumpy Cat’s birthday in NYC. We’ll be celebrating at home, though. But, we’ve been prepping for a little party of our own! How? 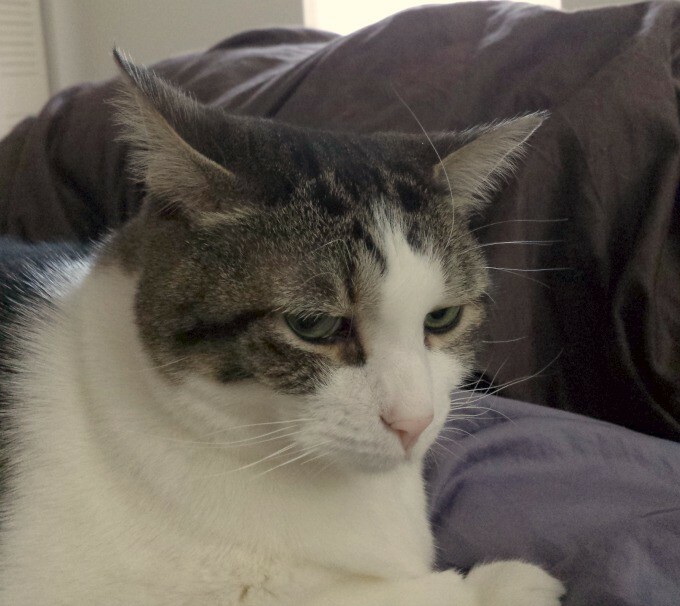 Well all the cats have been practicing their best Grumpy Cat-like faces. You can see my various favorites throughout this post. Aren’t they just hilarious?! As you all know, you can’t have a great party without some cool decorations and of course some good eats. 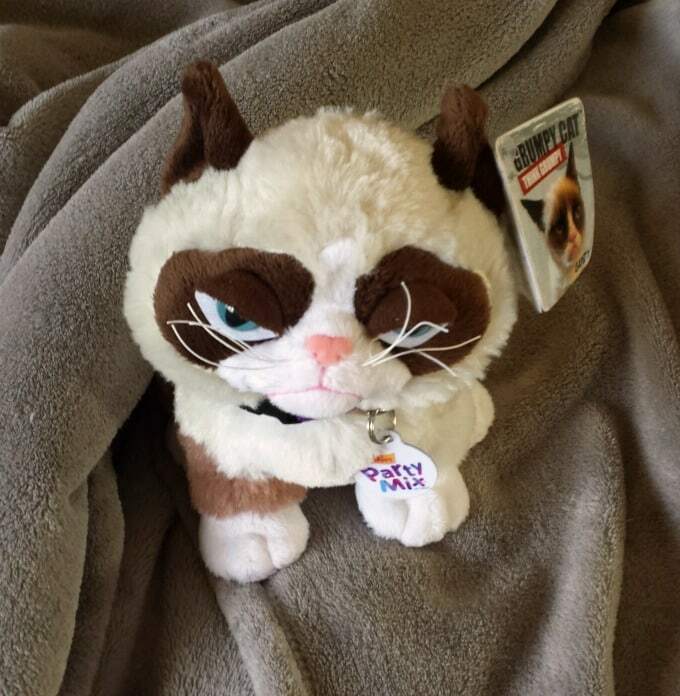 So, I was so happy when Friskies® sent over a super cool surprise box to help us celebrate Grumpy Cat’s birthday. Inside were various goodies like a stuffed Grumpy Cat that I’m currently having to hide from Mr. Savvy so he won’t steal it. ;) There were also some super cute decorations like party hats, Grumpy Cat masks and a beautiful poster of Grumpy Cat herself. Our cats favorite part, of course, were the cat treats though! Now, these weren’t just any cat treats, but Friskies® Party Mix cat treats. Don’t worry, you can get them for your cat to celebrate with at most Walmarts. I think I’m going to have to stop by Walmart and get some more because at this rate I don’t think we’ll have any left by the time Grumpy Cat’s birthday rolls around! Charlie has certainly ben grumpy about us moving the past couple weeks! Will you and your felines be celebrating Grumpy Cat’s birthday? « Get to Know Max with Shop Your Way Max! I have one cat, Jules, who isn’t very grumpy. But I love Grump cat myself! I just saw this Grumpy Cat at the Toy Fair and did not know he had such a following. Happy Birthday Grumpy Cat! I don’t have cats anymore, but I love cat memes too & Grumpy Cat is so stinking cute! You have some pretty kitties as well! That’s funny. I just adore cats. Too funny! We’re a doggy family here so we won’t be celebrating. I don’t have a cat to celebrate with, but if I did, I would! This i s just too cute!! Hope he snaps out of it. Aww such cute kitties. Grumpy cat sure chases my grumps away. Our cats love Friskies. We always gave our cats Christmas presents but we never celebrated their birthdays. Usually their Christmas present would be a little toy mouse hidden in a film canister. 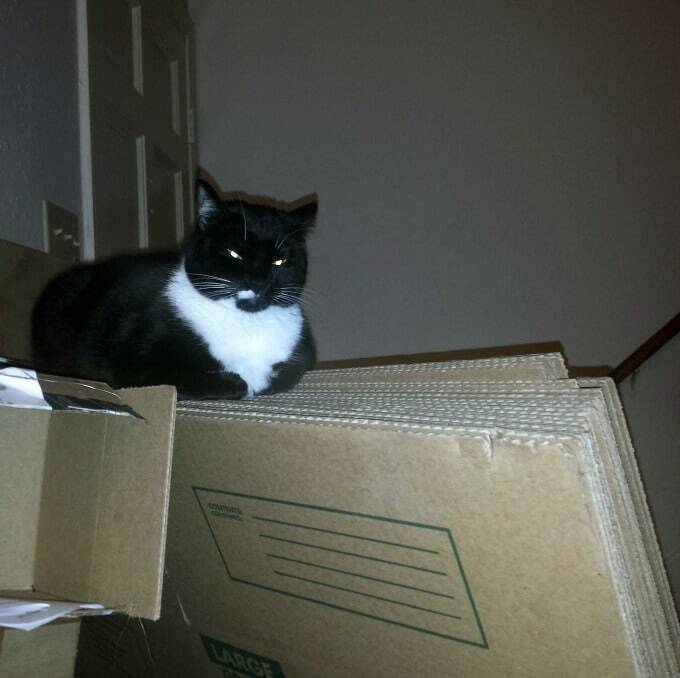 But let’s be honest because it is happy with the paper in the boxes to hide in anyways. Ha, I love it! My friend got to meet Grumpy Cat last year and I was totally jealous! Aww, what a cute cat. I have never thought of having a party for an animal but why not.